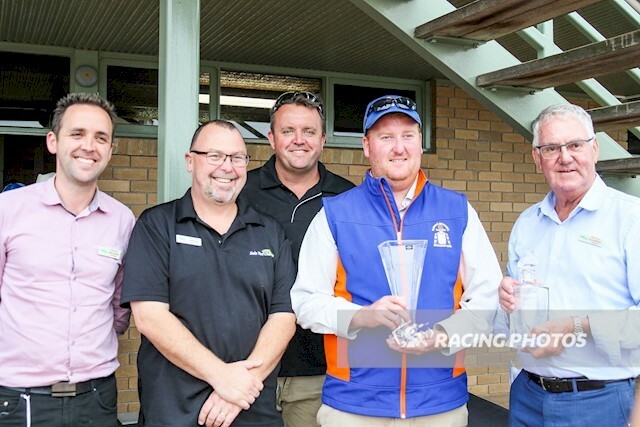 Trainer Tony McEvoy’s ultra-consistent Fox Hall bowled his rivals over with a strong win in the Viatek Sale Quality (1200m) at Sale on Monday, February 4. Part-owned by several former Australian Test cricketers, members of the Baggy Green Racing 6, hence the green and gold colours, Fox Hall was racing first-up on a soft track but proved way too good. Starting at $6.50, the five-year-old, ridden by Michael Dee, sprinted strongly over the final 200 metres to score by 1-1/2 lengths from Illustrious Lad ($4.40) with Princeton Spirit ($4.80), three-quarters of a length away third. Fox Hall began nicely from his inside gate and Dee was happy to stay near the inside and railed through to join the leaders turning for home before drawing clear to win well. McEvoy stable representative Darren McLeod said Fox Hall was an honest horse who never put in a bad race. “We thought he would run well but Tony said he would definitely take improvement out of the run,” McLeod said. Winning jockey Michael Dee made the most of his one ride at the meeting. “He travelled beautifully,” Dee said. “He had no issues with the soft track, and we had a nice run on the inside around the turn. “I came a couple off the inside in the straight and he gave a strong kick. Fox Hall has built an impressive record of five wins and six placings from 18 starts and has collected $226,300 in prizemoney.